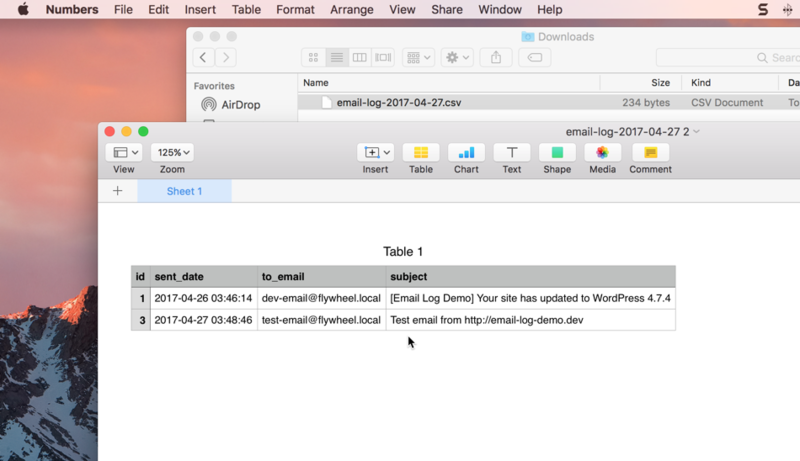 Export Logs Addon lets you to download the logged emails in csv format. 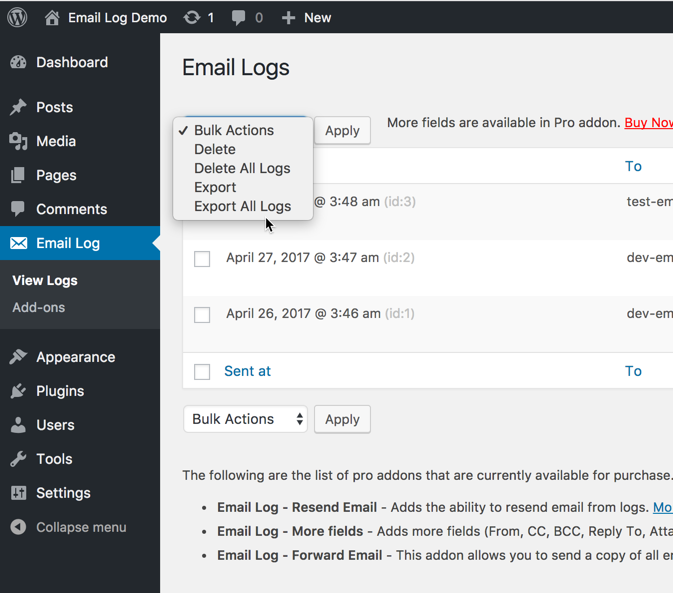 You can choose to export either selected logged emails or all of the logged emails. 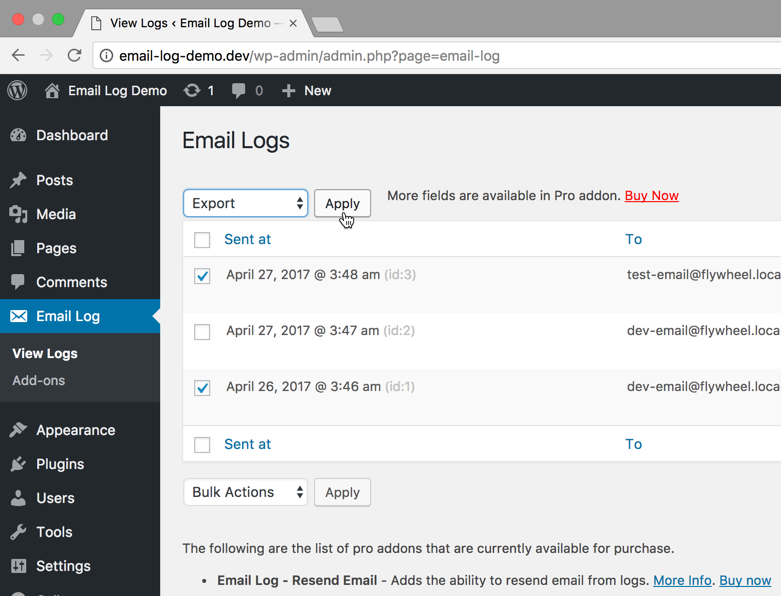 How To Export All Email Logs? 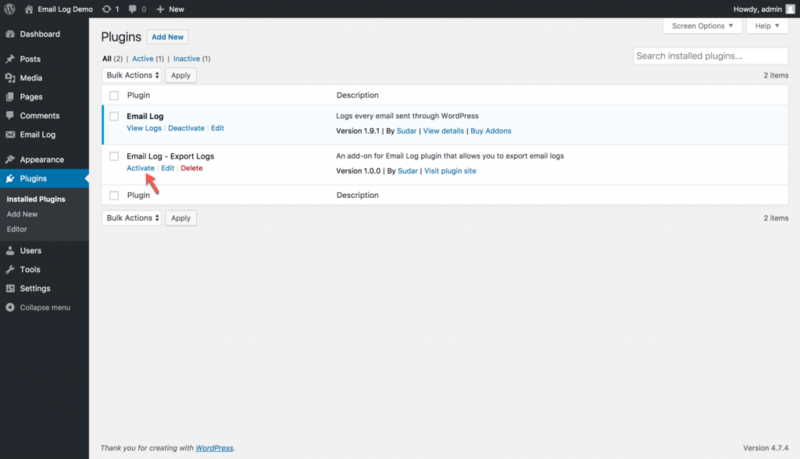 In order to export Email Logs, head over to the 'View Logs' page. To export all email logs, select the 'Bulk Actions' dropdown and select 'Export All Logs'. You can then click 'Apply' to download the csv. The csv will be downloaded automatically. 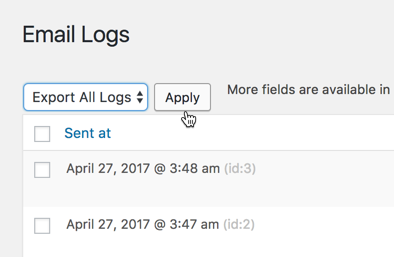 How To Export selected Email Logs? 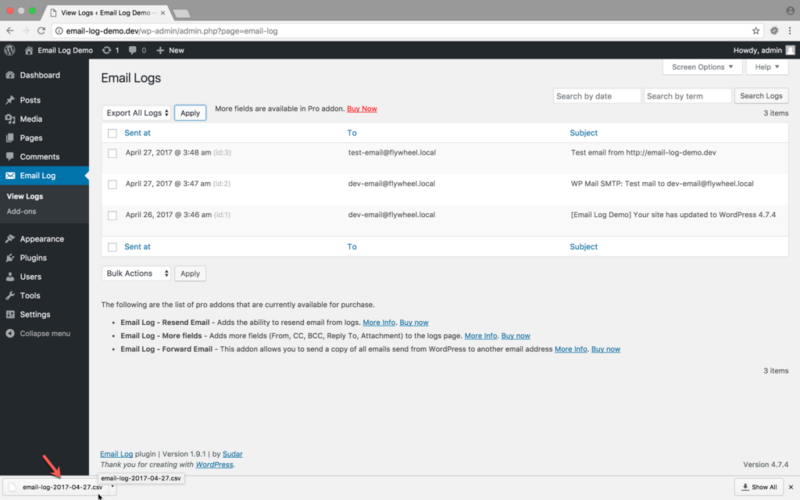 In order to export selected Email Logs, head over to the 'View Logs' page. Select the logs of your choice to export and then select Export from the 'Bulk Actions' dropdown. You can then click 'Apply' to download the csv. The csv will be downloaded automatically. You can then view the csv in your favorite application.